We’ve had days where we’ve gotten on the bike without knowing what we were going to do in our workout and just made it up as we went along. Sure, you can do that for a day, but what if you do it for an entire year? If you’ve ever felt a bit lost in your training — you just get on the bike and do whatever with no real sense of direction — then Annual Training Plans are for you. In this post I’ll break down what they are, why you should have one (and actually use it), and how to approach building one. I’m an engineer turned semi-pro cyclist. Before I started Bereda Training I spent two years racing around North America against guys like Chris Horner and other ex-world tour pros. Quick side note: I got dropped, hard. When I first got into cycling I really fell in love with the process of planning and training as much as the sport itself. I loved to strategize about how I’d approach my training, plan it out, execute on that strategy, and see if I could get measured results. Of course, it’s an iterative process of learning, tweaking, and planning again with a new strategy if needed. In university I started cycling as my primary sport and studied training theory like it was another course. Through self-coaching, I got good enough that when I graduated I got picked up by an elite amateur team and ended up doing my first pro races that summer. But unfortunately, I didn’t have a plan in place and ended up doing what we call “panic training”. 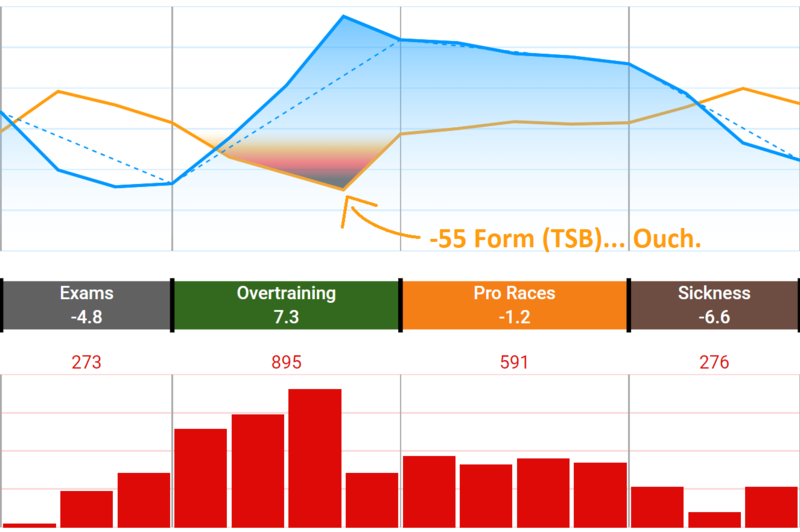 I overtrained pretty heavily and while I was able to perform OK at the pro races, that training caught up with me later in the summer and I had a horrible time. Really, I don’t wish overtraining symptoms on anyone. I was sick for a month and had no energy to ride my bike. But, it was a huge learning experience and the next year I committed to training properly, I paced myself throughout the year and I ended up having a great season. It really showed me the importance of starting with goals in mind, and working down to your daily workouts rather than deciding week to week or even day to day what you’re going to out on the bike. What IS an Annual Training Plan? Basically, an Annual Training Plan is just a set of weekly targets that say how much training you’re going to do and what type of training you’re going to do each week in order to achieve some objective you’ve set for the end of the plan. It’s a season overview, a document you can use as a reference point, and it’s what guides you when go to plan your workouts each week into your calendar. 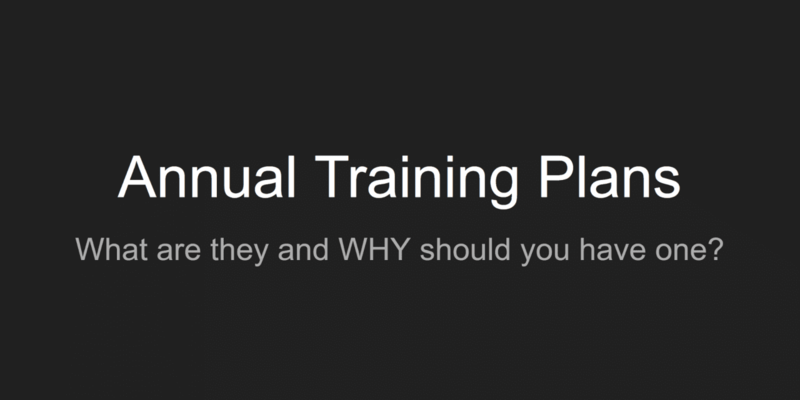 WHY should I use an Annual Training Plan? 1.) What are you trying to achieve with your training? Now this can be specific race and performance goals, or they can be much more casual. If you’ve ever gone for a group ride with your friends, been disappointed in your performance and have wanted to improve, then Annual Training Plans are for you. And even these more general goals like smashing your friends on group rides in July is a very good and worthy goal to base an Annual Training Plan around. 2.) Roughly HOW are you going to achieve that goal? So, now that we have a goal the next big question that an Annual Training Plan is going to help answer is: roughly how are you going to achieve it? Like I mentioned before, it just comes down to how much training and what type of training are you going to do each week. 3.) Why am doing this training today? Again, if you ever get on the bike with no real sense of direction and just kind of go through the motions, Annual Training Plans are going to help. They define how the training you do today fits into the bigger picture for your season and how you’re going to achieve your goals. The benefits of having an ATP are that you never feel lost in your training, there’s always something to fall back on, a reference point, and something that shows that the training you’re doing today has a purpose and reason behind it. Having that assurance will bring a real confidence into your training, a sense of direction which leads to increased motivation when on the bike doing the hard work. Because, essentially, what you’re doing with your plan is simulating your entire season from start to finish and seeing success at the end. You start to believe in the process. And seeing that roadmap and envisioning that success is a very powerful motivational tool. With Annual Training Plans, you start by looking at the big picture, at your goals and events, possibly even for multiple years, and then break things down on a monthly basis, then weekly basis, and if you really want to sink time into planning, go to the daily workouts. Without those targets, planning your training workout by workout is a very dangerous trap to fall into. This is what we call a Top-Down approach, and it’s so important that it’s the main principle behind Bereda‘s entire design. To start, we pick our goals and key events for the year. These can be races or much more general objectives, but the important thing is to decide what they are, and to put them on the plan. These have a huge impact on your year, so it’s important to write them down and not to forget to include them when you go on to the next steps of planning. Next up is to set the scheduling of your training throughout the year. What we want to do here is break your training in to three to four week mesocycles, factoring in those life events. When we’re doing this, we want to be strategic about where we plan our rest weeks. For example, where are your lower priority races? Putting your ‘B’ races at the end of rest week is a great option. That way, you can show up fresh and ready to race rather than fatigued at the end of a hard training week. Once you know when your training blocks are going to happen, it’s time to figure out what kind of training you’re going to do inside of them, and that process is called Periodization. Of course, there are lots of other strategies and options when it comes to periodization, but they all work within the framework of annual planning. And now, we get to the part that everyone knows and loves: the Training Load: how much training are you going to do on any given week? Now remember, we want to approach this in a Top-Down method, so the question to ask is: What Fitness or CTL value do you want to achieve leading into your ‘A’ races? From there, we work backwards to determine what Training Loads you should target throughout the year. I can’t emphasize this enough: you really want to start by considering the end point: Where is this plan leading? There’s no point in starting at the first week of the plan and saying, “I want to ramp this much, how much load does that require? okay let’s do that.” That’s bottom-up planning and we want to avoid it. So, a great way to figure out what CTL you should target it to look at what you did last year. Let’s say that last season you reached 65 CTL leading into your big race. This year, if you think you have the time to train a bit more, or think you can train a bit more intensely inside the time that you have, then you can target a CTL that’s maybe 10 points more than last year. 10 points: that’s a reasonable but substantial increase from year to year. THAT’s a nice progressive plan that won’t have you overreaching. An increase of 20 points, for example, is starting to border on the aggressive side of things. Now, typically it’s good if during your offseason you’re maintaining about 50% of the CTL you’re hitting at the peak of the year, so, if you want to hit 100 points leading into your priority events, you should be starting the year around 50. If we take this example and use a pretty standard training schedule that builds up over a 24-week period, you’ll notice that on average we’re only ramping up at an average of 2 points per week over the course of the whole period. And, that can seem counterintuitive to people because we’ve all seen the recommendations that say you ramp up your CTL at 5 or even 7 points per week. But, if you look at the big picture, you might only hit those kinds of ramp rates for a short period of your plan before leveling things out more and being more moderate. I caution people not to ramp blindly. If you’re just going week by week and not thinking long term about where you’re going then you could get to the point where your CTL flattens out because you don’t have anymore time to train, and you’ve hit your peak Fitness 8-12 weeks before your target event. That’s arguably not the best scenario. The way to prevent this is to take Fitness (CTL) you want to hit at the end of the plan, the Fitness (CTL) you have at the start of the plan, and figure out that average ramp rate. Now, you don’t have to increase at a constant rate from the start of your plan to the finish, you can have variation, but knowing that average number is a good reference point. Use it as a guide a set intermediate CTL goals for the end of each mesocycle. If you break down the entire build up and have that short term CTL goals, then you have targets to guide your weekly training load planning inside each mesocycle, which then guides your workout planning inside each week. At this point you have an amazing Annual Training Plan to guide you through your season and you’re totally motivated to tackle the training because you can see your success at the end of the plan. You have your events and goals, you’ve scheduled your training around important life events, you’ve periodized your training blocks, and you’ve worked out short term Fitness (CTL) targets for each mesocycle along the way so your training loads are well paced throughout the year. Leaving aside the fact that the process I only just briefly described is going to be quite time consuming, when you factor in the chance that something will pop up, your plan might get derailed and you might have to go back and rework it all to get something that actually makes sense, well, phew, that’s going to be a struggle. And the thing is, things are inevitably going to change, and that’s okay. Even professional athletes whose lives revolve around training are going to have things pop up. That doesn’t mean you should throw out the plan. Annual Training Plans should be a living document, something that gets updated and adjusts. It should be an ongoing process. Just because things pop up and things change, doesn’t mean you shouldn’t know WHY you’re doing the training you’re doing every day and how it fits into the bigger picture of the season. It’s the Annual Training Plan that gives you that foundation. Sounds good mate. But what’s the difference between this and Training Peaks training planner? 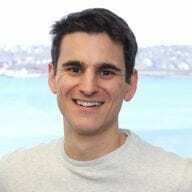 Hi Georgio, all the concepts I talk about in this post can be executed using TP’s ATP feature or any other spreadsheet. Of course, we built Bereda to help people execute plan building (and updating) more quickly, and that’s done through some advanced functionality. A few examples: 1.) We include the ability to calculate those “unique life events” directly into the plan. 2.) Instead of customizing the ATP by editing every Training Load bar individually, with Bereda you can click and drag the Fitness (CTL) points directly and all the Training Loads to respond automatically underneath. 3.) With Bereda you can update the plan with your progress at the end of each with and the future training loads will dynamically adjust to stay in sync with your real world progress but still meet the goals you’ve set. Those are just a few examples, but like I said, you can follow the concepts from this post when planning with any spreadsheet. Ok thanks Dennis. I’ve signed up mate and replied to your email. And all going well I’ll roll onto your paid plan after 7 days. Best wishes with your venture! !